Well, Kevin Janison, from News 3, rocked it and got every day’s forecast right. We were presented with a check for $ 2,600.00. 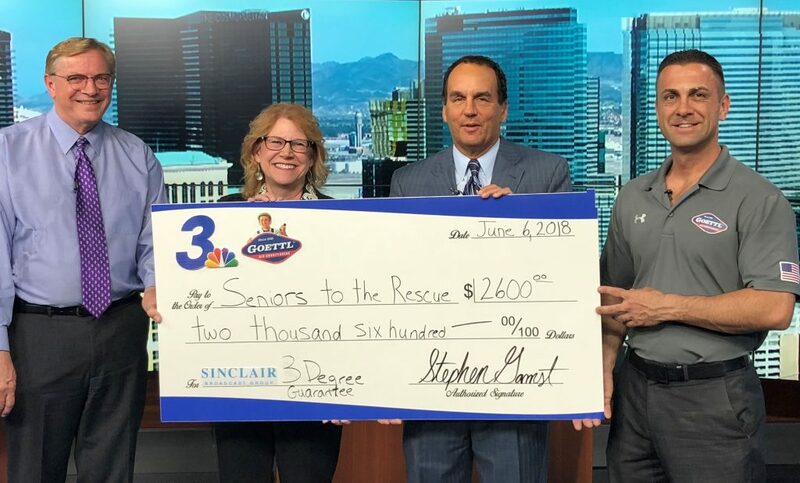 Goettl Air Conditioning, the sponsor, donated $ 2,300.00 and News 3, donated an additional $ 300.00 for Kevin having a perfect month. Thank you Stephen Gamst from Goettl and Kevin for making a difference for Seniors To The Rescue. Accepting the check is Gail Mayhugh, President and Founder and David Robeck, Director.